A sleeping beauty of a tale, actually, interwoven with the names of heroes and heroines, princes and dandies. And as if that wasn’t enough, a rags-to-riches story, too. In spring 1799, an enterprising young man named James Atkinson set forth from the wilds of Cumberland for London. 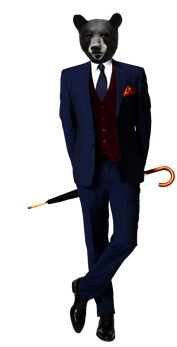 In his suit pocket were recipes for fine fragrances and toiletries he’d created himself. And next to him sat a generous amount of rose-scented bear grease balm. (Yes, really.) Even more extraordinarily, next to the balm sat a real, live bear who – so the tale goes – was utterly devoted to James. In 1800 James Atkinson launched a ‘fearlessly English’ eau de Cologne, which was strikingly different from the Italian-style Colognes which dominated the market: fresh, yes – but warm and spicy, too, stronger than its Continental cousins and with a lingering sillage, or trail. 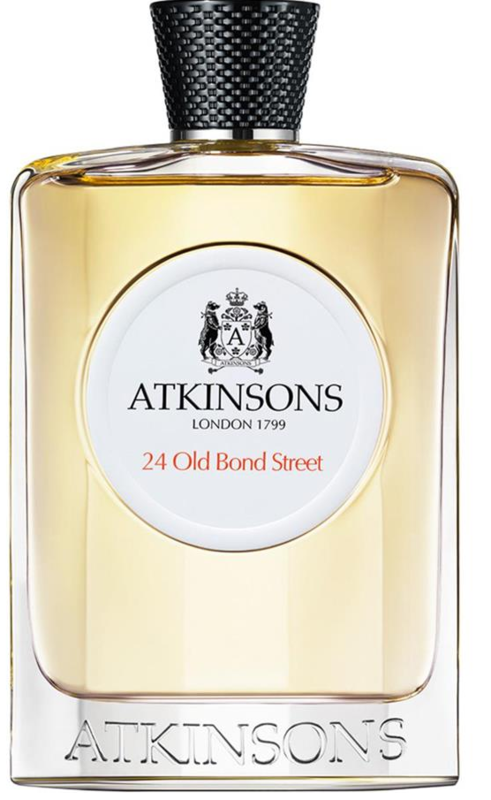 When King George IV caught a whiff of it at Buckingham Palace in 1826, he appointed Atkinsons as Official Perfumer to the Royal Court of England, on the spot. And from the on, the sweet smell of Atkinsons‘ success wafted throughout the realm. 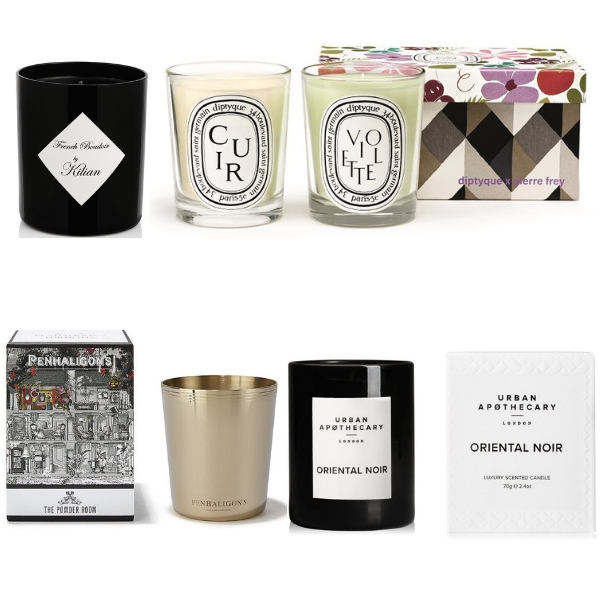 In its day, Atkinsons provided scented goods to the Duke of Wellington, Beau Brummell (‘First Dandy of the Realm’), Admiral Nelson, Lady Hamilton, Sarah Bernhardt – and the crowned heads of Russia and Italy, as well as our own. 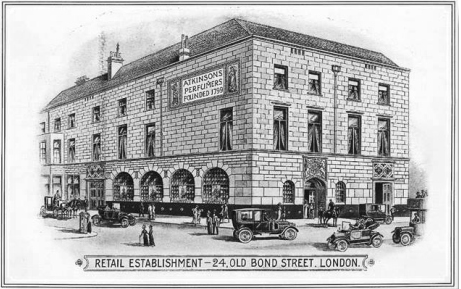 Atkinsons moved, in 1832, to 24 Old Bond Street: a stunning boutique, described as ‘a mad mix of Art Deco architecture crowned with a curious spire and richly-decorated with gilding and painted heraldic motifs.’ Should you find yourself passing Ferragamo’s London flagship store on Old Bond Street today, look up: the stunning frontage is still visible today. Shops were opened abroad, in America, Paris and Australia, and the company’s perfumed portfolio grew to include gloriously-named creations like Royal Briar, The British Bouquet and The Odd Fellow’s Bouquet, inspired by a typical St. James’s gentleman’s club (and the favourite of Lawrence of Arabia). Some time after, Atkinsons itself went into hibernation. But to quote the perfume house, ‘Atkinsons and the growly bear have awoken from their slumber refreshed and revived’ – with a spectacular collection of more than a dozen shareable fragrances created by notable noses including Christine Nagel (who’s worked for Guerlain, Jo Malone, Dior – and is now in-house perfumer at Hermès), Karine Dubreuil (Gucci, Mugler, Ferragamo and now L’Occitane), and Benoist Lapouza (best known for YSL Live Jazz and Givenchy Eau Demoiselle). Inside bottles designed faithfully along the lines of the house’s original flacon, you can explore fragrances for men, women (and many shareable options). Enjoy The British Bouquet (inspired by Beau Brummell, with lavender, myrtle, bitter orange and lemon, interwoven with a leather accord), Fashion Decree (inspired by an era when shawls and silks were shipped layered with patchouli leaves, to protect against insect damage), or the stunning Oud Save the King, which is as masculine, as charismatic and extravagantly elegant as the glamorous Crown Prince who inspired it. Our favourite, perhaps? 24 Old Bond Street: a classically cooling unisex Cologne with a dash of juniper, brightening a sheer, soft rose. 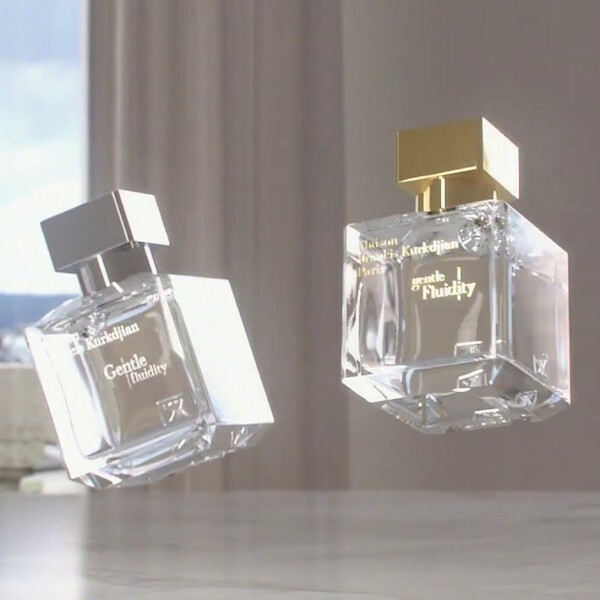 And it was certainly favourite with the judges of the 2014 Fragrance Foundation Awards in the category ‘Perfume Extraordinaire’ – which is blind-tested by perfume specialists, unaware of branding or influenced by packaging. So: welcome back, Atkinsons. And you can be sure: we’ll be following the bear.